Shweta Anil Pawar from Pune, B.E. - B.Tech Graduate. MANUAL TESTING TYP.. ANDROID AP TESTING IOS APP TESTING DEFECT TRACKING TOOL.. TESTING WEBSITES TEST DATA PREPRATION..
are one of expert skill area's of Shweta Anil Pawar . 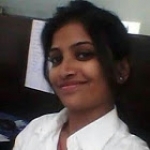 Shweta Anil Pawar is working in IT Software industry.